When Is The Best Time To Plant Zoysia? Everyone knows fall is a great time to plant grass. No, I hear spring is the best and we all know you don’t plant during the hot summer months. Wait a minute this is Amazoy zoysia grass plugs! 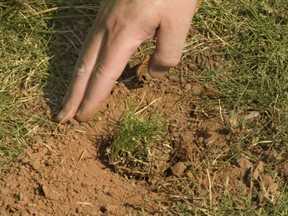 The planting time for zoysia grass plugs is not the same as a lot of other types of grasses. Zoysia is one of the few grass that can be planted through the heat of summer. Zoysia loves the dry warm weather. The best planting time is from early March to late September. Even though some states have milder temperatures than others, it is best not to plant in the late fall or winter months. With the changing weather patterns, you never know when you may get hit with a frost or cold weather that could harm newly planted plugs. To make sure you are receiving quality plugs and they will be successful, our plugs are only shipped when the local planting times are best. You can start to plant the plugs once you are past the threat of snow, ice or freezing temperatures and your ground is workable (thawed). You can continue to plant as long as the plugs are planted at least 45 days before the first hard fall frost. Yes, you can plant all summer long as long as you follow the watering instructions. The plugs need 10 to 15 minutes once a day for the first three weeks. After that you should only water if you are having drought type conditions, then no more than 2 to 3 times a week, again only for 10 to 15 minutes. The sooner you get your plugs planted the sooner you will be on your way to a beautiful Amazoy zoysia lawn.